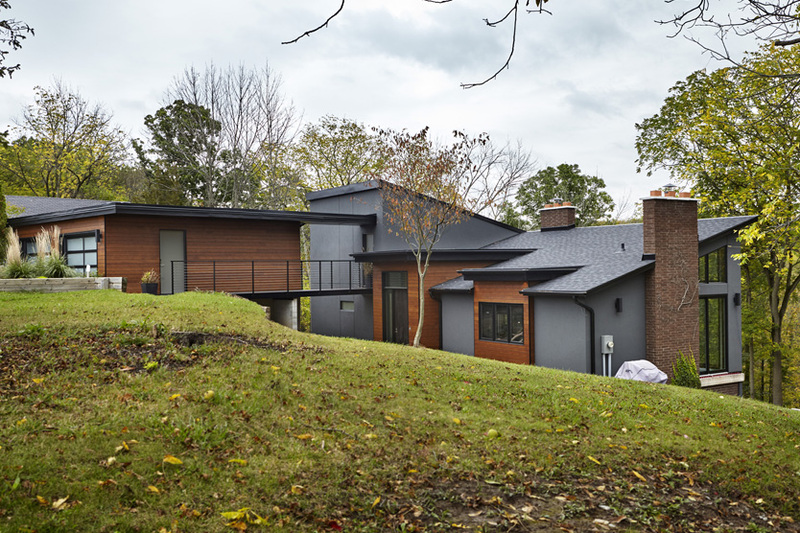 Working around conservation land restrictions, the dilapidated house that sat on this dream property was transformed into an award-winning contemporary home. 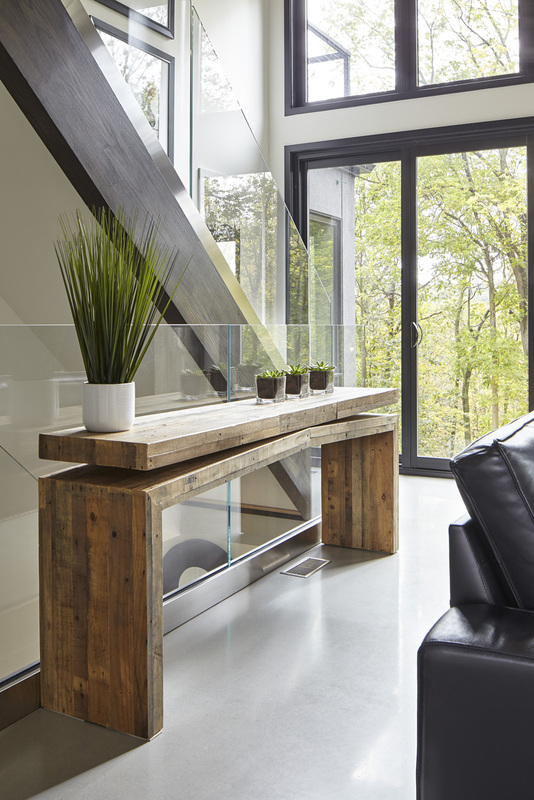 The lower walkout level - formerly several small, dark rooms – benefited from the removal of several walls and the addition of three sets of triple patio doors. This floor features family room, guest room, bathroom and laundry room. 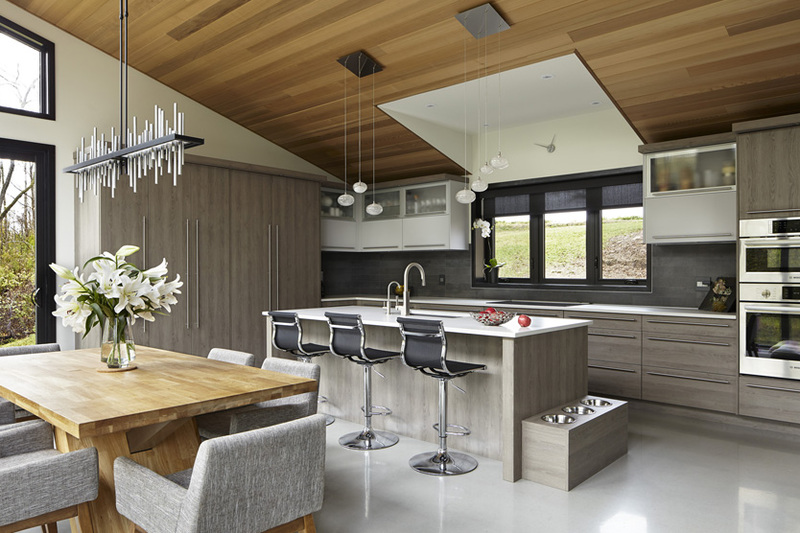 Architectural and engineering adjustments to the vaulted ceiling provided extra height in the kitchen which features a large island and sleek European laminate cabinetry. 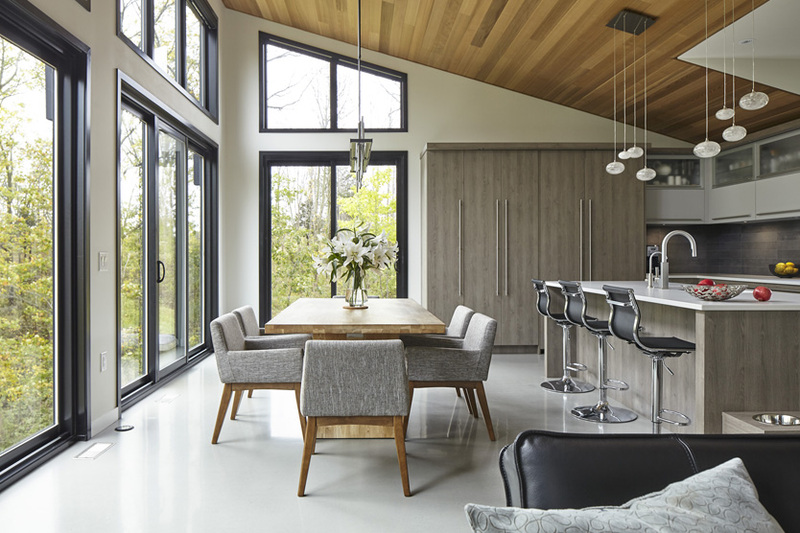 Banks of patio doors and symmetrical upper windows wrap around the back and sides of the great room. Built into the hillside, the home's contemporary lines came to life with the use of materials and colours designed to blend into the landscape. 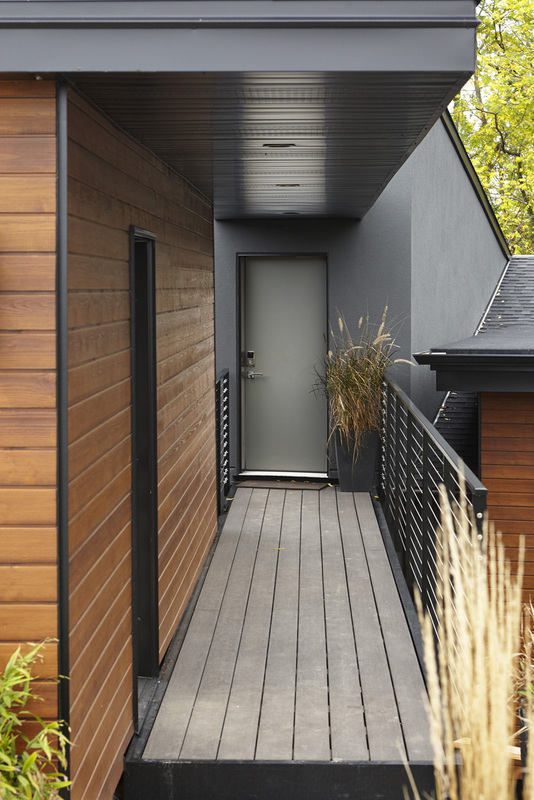 A suspended, covered bridge connects the garage to the homeowners' everyday entrance. 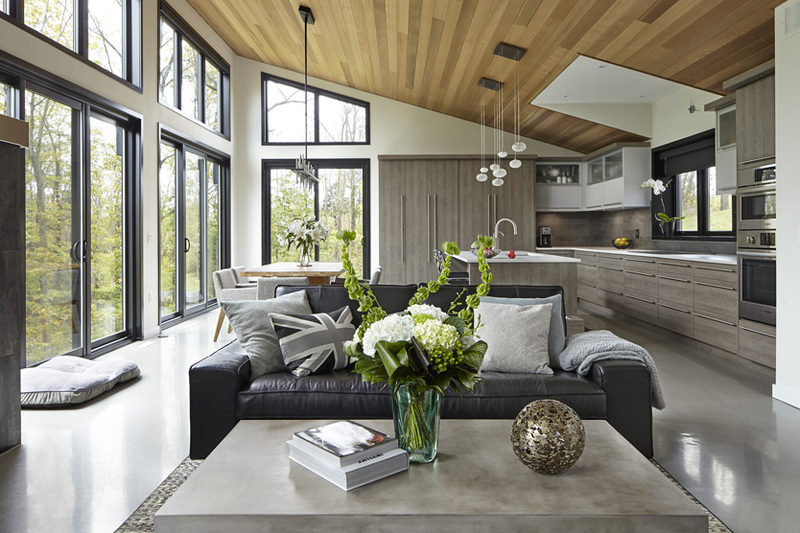 Natural materials including polished concrete floors, cedar lined ceilings and black porcelain fireplace tiles help the home's interior spaces feel connected to the surrounding greenspaces. The staircase from the main floor to the lower walkout level was moved to optimize floor space. 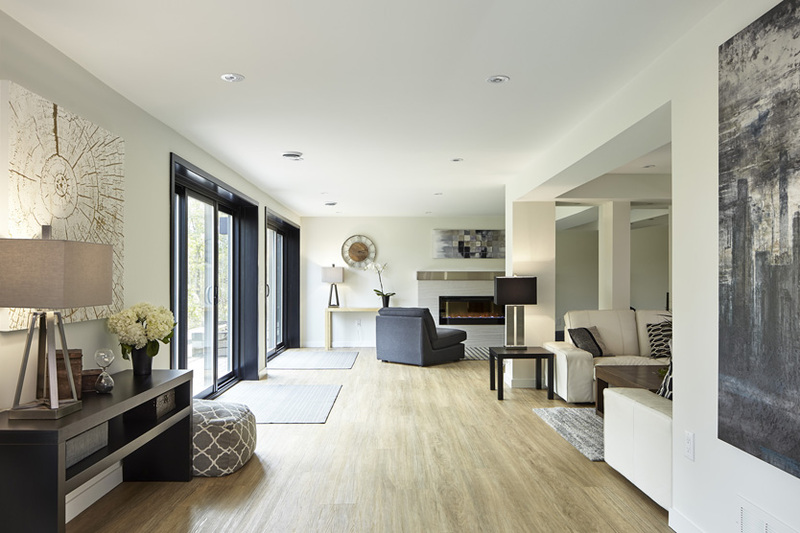 A wall separating the former kitchen space from the living area was removed and a staircase from the main floor to the lower walkout level was moved to optimize floor space and open up the main floor into this great room format. The master bedroom and ensuite space was reconfigured to optimize space. 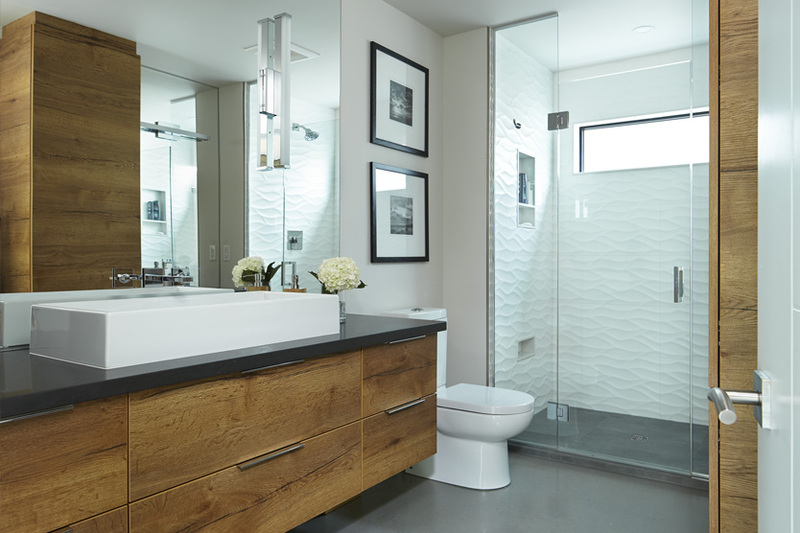 Use of natural wood tones and textures is repeated in the bathroom's custom cabinetry and polished concrete floors. 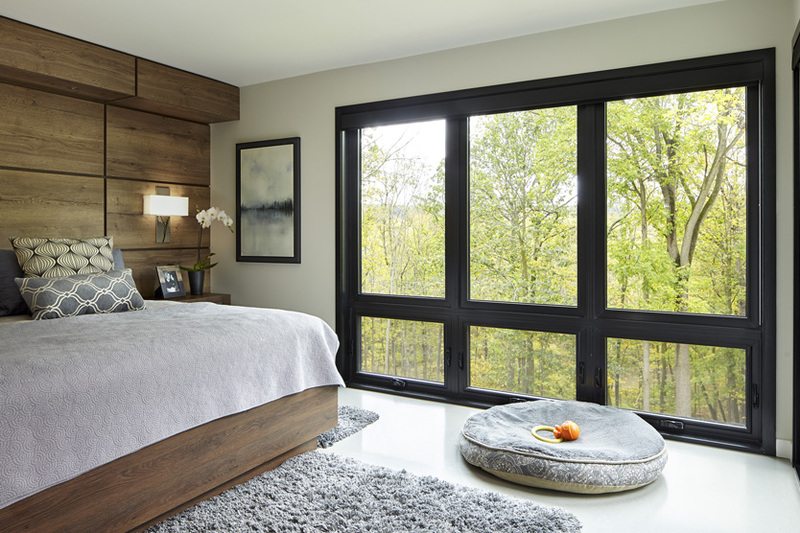 Windows in the modest-sized master bedroom were enlarged to take advantage of the views. 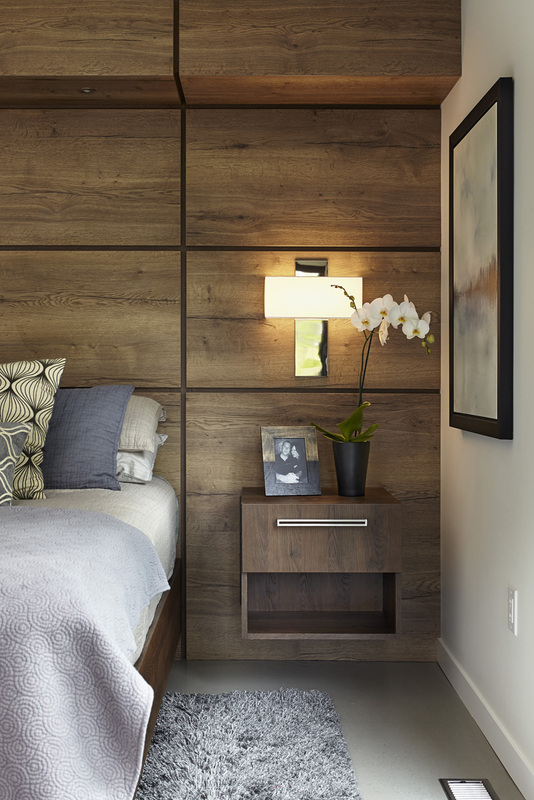 Built in headboard and night stands optimize use of space in the master bedroom and continue the use of natural tones featured throughout the home. 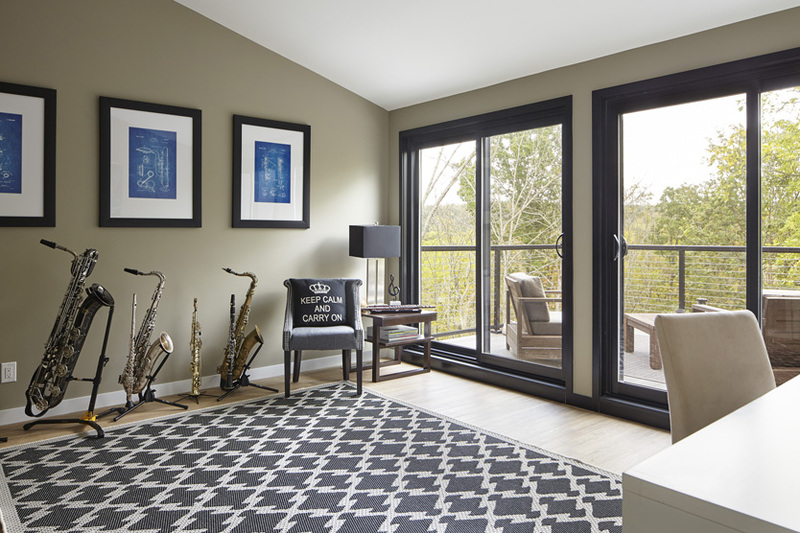 Formerly a dark bedroom on the home's upper level, patio doors now open to deck overlooking the greenspace in this music room. 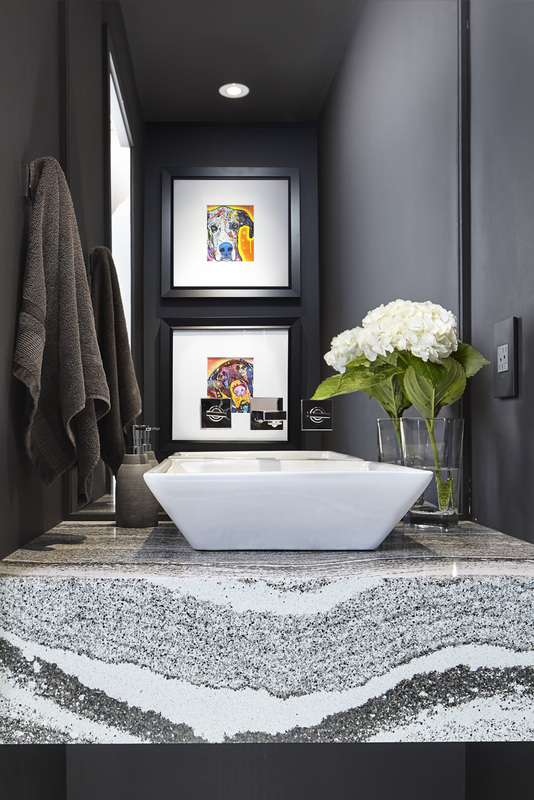 Dramatic use of colour and materials in the diminutive main floor powder room.